A Big Loss! 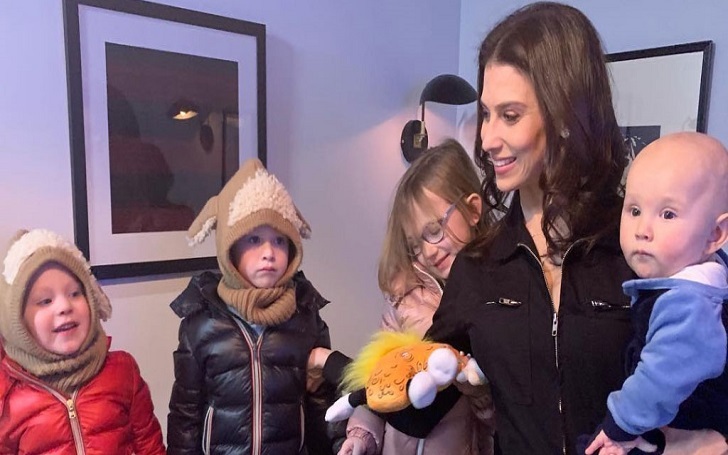 Hilaria Baldwin has confirmed that she suffered a miscarriage with her fifth child with husband, Alec Baldwin. The yoga instructor, 35, took to Instagram on Tuesday, April 9, to open up about the loss, with sharing a photo of her husband and their kids, Carmen, 5, Rafael, 3, Leonardo, 2, and Romeo, ten months. There was no heartbeat today at my scan…so it’s over…but I have some pretty strong and amazing heartbeats right her. I am surrounded by such love and I feel so fortunate. Thank you all for listening, for your support, and for sharing your own personal stories. We are stronger together…I hope this conversation continues to grow and that we stick together through both the beautiful and challenging moments in life. Much love and appreciation to all of you. Just a few days ago, Hilaria shared an emotional post to reveal that she was "most likely experiencing a miscarriage." During an episode of the Today show on Tuesday, April 9, she defended her decision to reveal her news publicly. She insisted that it would be "harder to do it silently." Alec and Hilaria, who first met at a restaurant in NYC in February 2011, became married in June 2012 at St. Patrick’s Cathedral. The actor, 61, was previously married to actress Kim Basinger, with who he shares a 22-year-old daughter, Ireland.